This spectacular flight covers some of the most scenic areas in our country such as the Blyde River Canyon, God’s Window and the Pinnacle. En route we fly over some of the breathtaking waterfalls renowned in the area which include the 64m high Mac Mac waterfalls as well as the 92m Lisbon and the 80m Berlyn waterfalls. We stop at a private picnic spot where you can experience the ambience and be close to nature while enjoying your picnic. A condensed version of the above – guests fly over the breathtaking Lisbon, Berlyn and Mac Mac waterfalls, God’s Window and the Pinnacle. 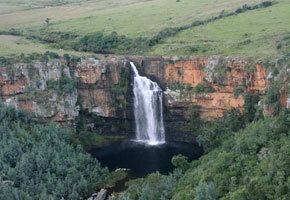 Fly from the lodge to Kaapsehoop and experience the view of the breathtaking escarpment on horse back. 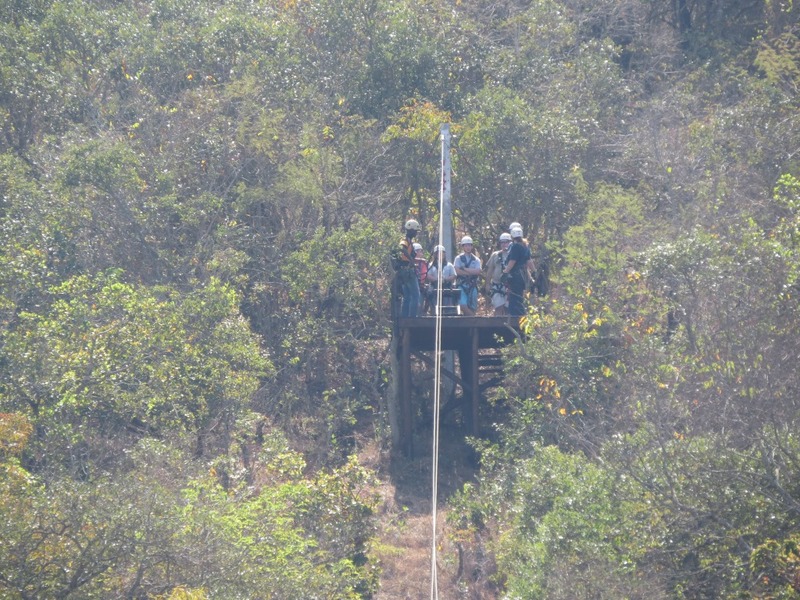 Guests will experience the wonders of the mountain views and the entire journey is about three hours long. 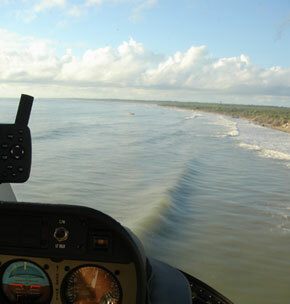 For those customers who prefer the flight alone, this fixed wing scenic flight follows the same route as the helicopter without the stop for a picnic. 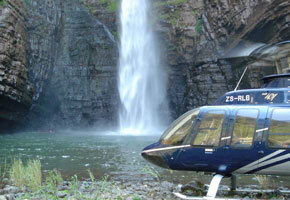 This is a fabulous flight over the Blyde River Canyon, God’s Window and the Pinnacle. As with the helicopter flight, a shortened version of the above, flying over the Lisbon, Berlyn and Mac Mac waterfalls, God’s Window and the Pinnacle. Also available in both helicopter and fixed wing and can be arranged to suit your requirements. Guests would be picked up at Jackalberry/Sabi Sand Airstrip and fly to Hazyview airstrip, where they will be picked up in a vehicle and taken to Skyway Trails for the Aerial Cable Trail experience. 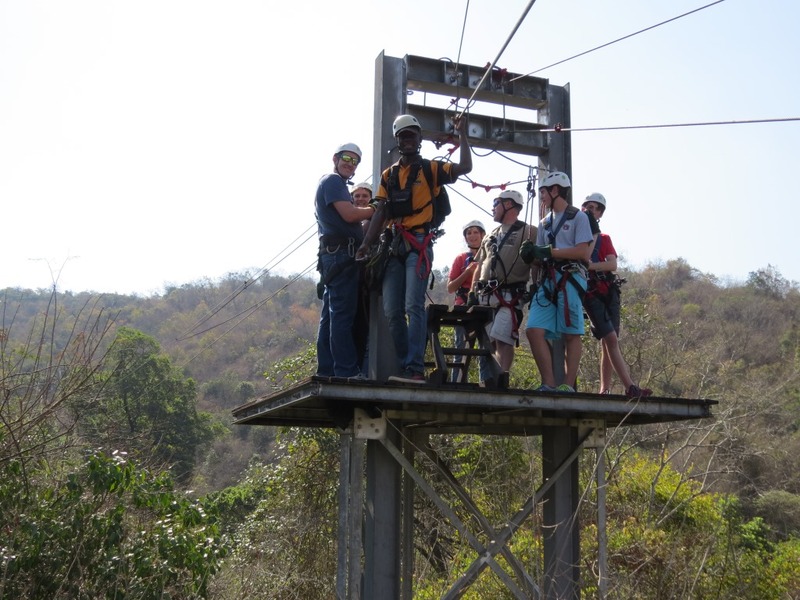 Experience the thrill of Mpumalanga’s longest Aerial Cable Trail. 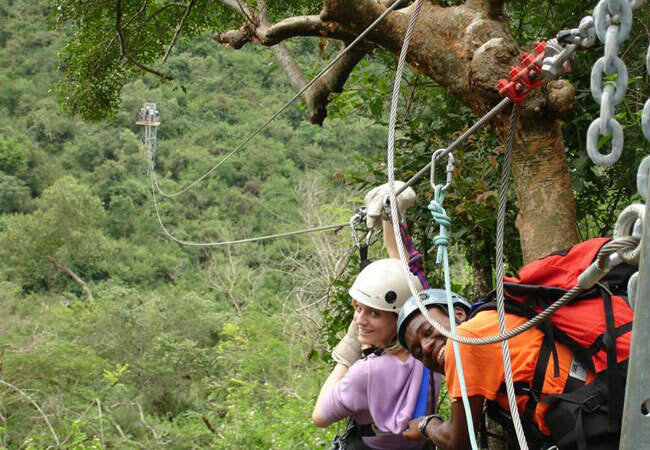 Experience the freedom of gliding over one of the last remaining natural forested valleys along the Sabie River. 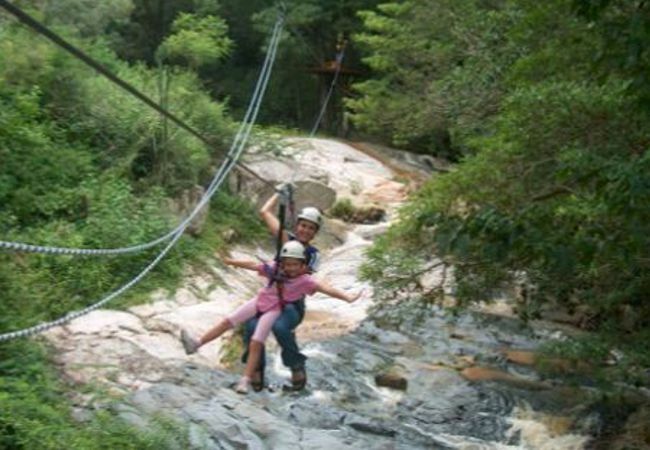 The aerial cable trail takes you down into the valley basin, stopping along the way on a number of elevated platforms to admire the natural vegetation, birdlife and the views of the forest floor below. 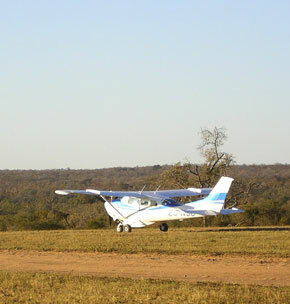 After the experience, guests will be taken back to Hazyview airstrip for the flight back to Jackalberry/Sabi Sand Airstrip. The 2017 rate is R15 630.00 for 4 people in a Cessna 206 and R29 700.00 in a Bell Jetranger Helicopter.